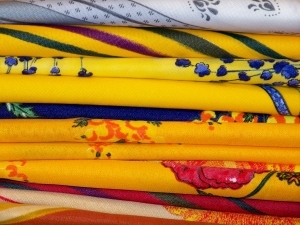 As an upholstery and drapery workroom we deal with a variety of beautiful fabrics. At the completion of any job we have some small scrap pieces of fabric. If the pieces are too small to make pillows, table runners, or placemats from them we cannot really use them. Rather than throwing these bits and pieces away we want to do something for the benefit of the environment and the community. This is a great program for quilters and other small craft enthusiasts. If you are interested, contact (561) 289-2001 or email info@sos-boca.com to schedule a time to come and pick them up.